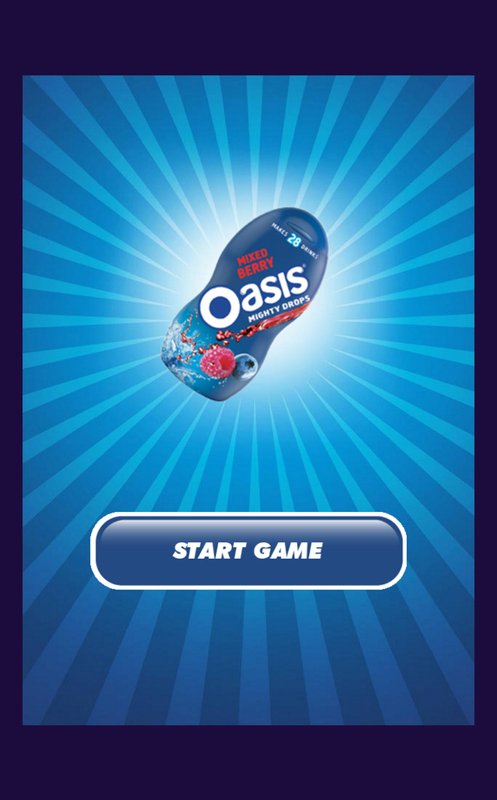 In Summer 2014 Oasis launched Mighty Drops, a concentrated juice aimed at a target market of active 13-16 year old males. The launch campaign included standard animated digital banners, and one rich media expandable banner. For this I concepted, designed and developed an HTML5 game, where players competed against time to squeeze Mighty Drops into as many cups of water as possible before they overflowed. This game recieved the highest level of engagement and click-throughs from the whole digital campaign. Working closely with the creatives in charge of the campaign work, I produced initial wireframes used to sell the idea to the client, as well more detailed documents used to scope and direct the final build.